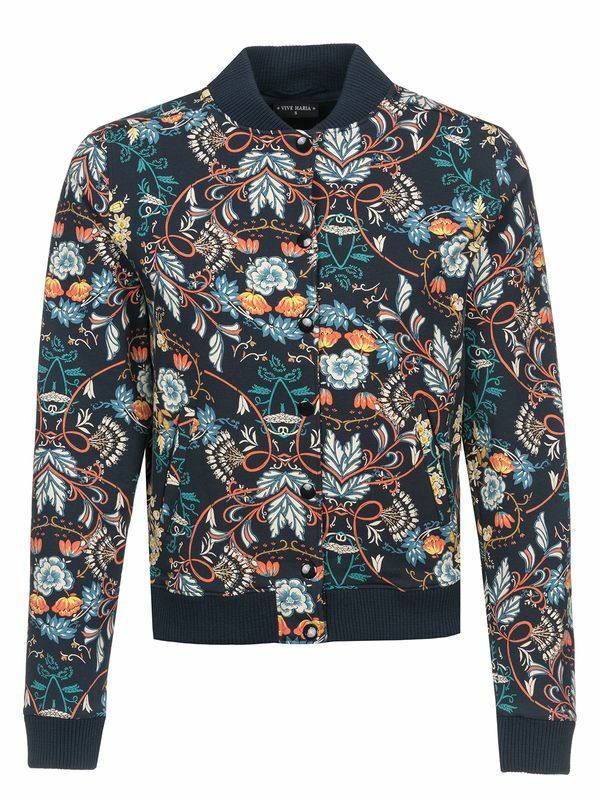 Let the Boheme Collection inspire you with lovely blue tones and enchanting flower prints. 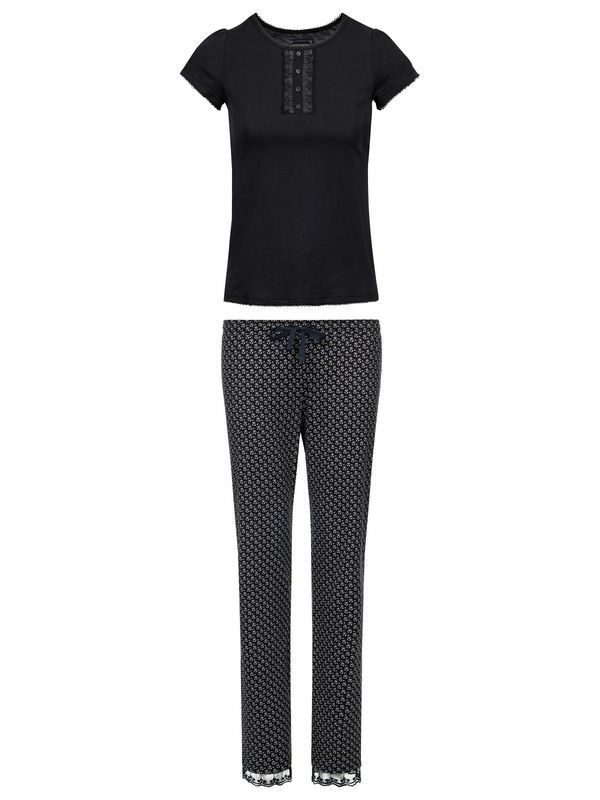 The Boheme Pyjama consists of two pieces that are made of a soft cotton material. 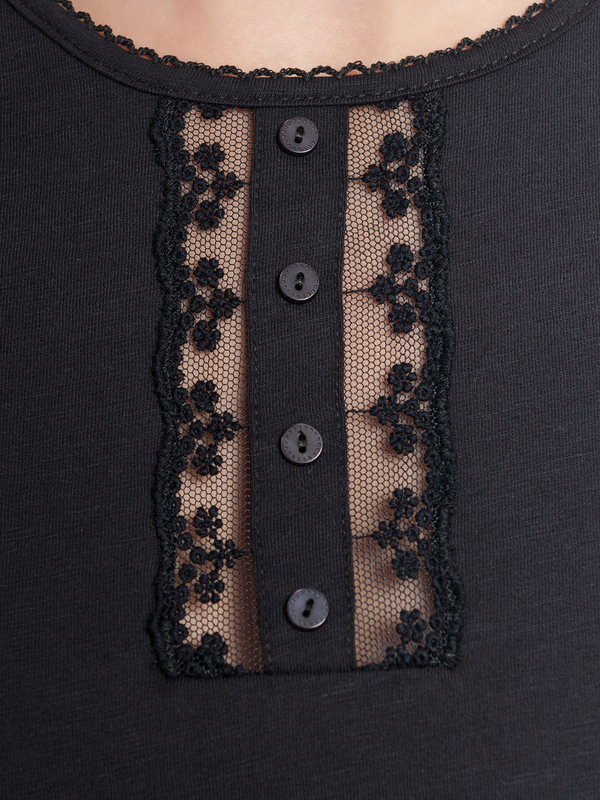 The shirt has a tight cut with a transparent lace insert and a button strip at the neckline. The round neckline, the short sleeves and the bottom hem are trimmed with a thin lace border. The colours range from a dark blue to a black-gray. 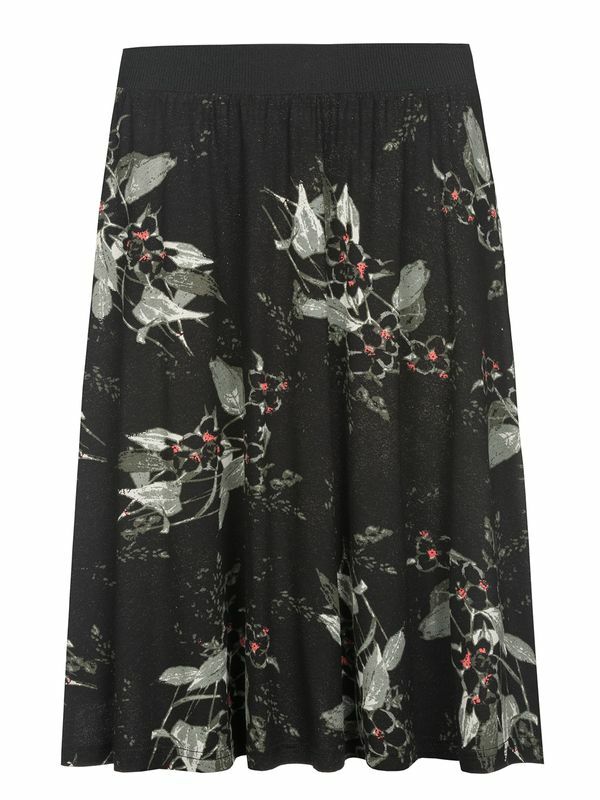 The long pants are embellished by a beautiful allover print. Lovely light blue blossoms give the pants a feminine touch. The elasticated waistband with drawstring ensures a perfect fit. The pants have a rather loose cut and are lined with dark transparent lace at the pant legs.